The one-month delay would give brokers another chance to comment on the plan, and would compel Labor to study that feedback. (Bloomberg) — Wall Street may get one more shot to derail rules championed by the White House that would put tighter restrictions on brokers who advise Americans on saving for retirement. While financial firms trying to kill the regulations still face long odds, the industry’s new life could come from a provision that Republican lawmakers and some Democrats are trying to tuck into the $1.1 trillion government spending bill being debated in Congress, said three people familiar with the matter. The amendment would force the Obama administration to give brokers, insurers and other companies that sell investment products 30 more days to weigh in on the rules before they could be finalized, said the people, who asked not to be named because the spending bill is still being negotiated. The regulations in question target what administration officials say is biased financial advice that costs investors billions of dollars a year. Even a one-month delay could complicate the White House’s goal of completing the rules and making them enforceable before President Barack Obama leaves office in January 2017. 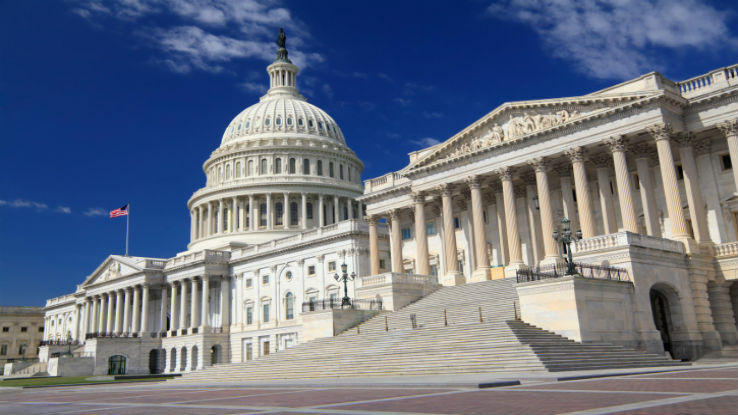 The stakes are high for industry trade groups that have been engaged in a five-year lobbying battle against efforts to make brokers act in their customers’ best interests. Congress is expected to vote on the broad spending bill, which funds government agencies, before the end of the month. Lawmakers are vying to attach various amendments to the legislation because it’s considered must-pass, as the government is at risk of shutting down if Congress can’t reach a compromise. A one-month delay of the broker rules isn’t as dire for the administration as bills proposed earlier this year that threatened to withhold any funding for the effort, which is being spearheaded by the Labor Department because it oversees rules for U.S. retirement plans. Still, a delay would give the financial industry more time to lobby Congress and put pressure on Labor Secretary Tom Perez, who’s said current provisions allow brokers to sell products that are too expensive and don’t outperform lower-cost options, such as investment funds that track stock indexes. “We’re going to aggressively oppose any effort by Republicans to water down that rule,” White House spokesman Josh Earnest told reporters in Washington Tuesday. For financial advisers who are already doing the right thing, these regulations won’t “change anything,” he said. Brokers say the rules will make offering financial advice to clients with less money to invest harder — the opposite of what the Obama administration wants. The restrictions would also make the earning of sales commissions more difficult, leading them to drop accounts with assets under $50,000, industry groups say. Insurance companies say the new regime also would discourage sales of products such as variable annuities that typically come with higher fees while offering investors a guaranteed, minimum rate of return. The lobbying has had an impact on members of Obama’s party, as 47 House Democrats called for an additional 30-day delay in an October letter they sent to Perez. Under the plan Labor proposed earlier this year, brokers would have an obligation known as a fiduciary duty to put their clients’ interests first, as opposed to the current requirement that they sell products that meet an investor’s goals or risk tolerance. The shift could reshape how financial firms collect fees, and potentially create winners and losers among mutual funds. The changes also would tighten protections for the $7.6 trillion held in individual retirement accounts, a common vehicle used to save for life after work that barely existed when Labor issued rules 40 years ago. Under the regulator’s proposal, brokers could still earn commissions if they sign a “best-interest” contract with investors, which would disclose fees or other incentives that can influence recommendations. IRA investors would have a new right to sue financial advisers who don’t adhere to the best-interest standard. Sweeping criticism from lawmakers and the financial industry led Labor to scrap an earlier draft of the rule in 2011. This time, many Republicans and Democrats have said the Labor Department hasn’t gone far enough to answer questions about the impact of its plan. “We are concerned that the proposed rule could diminish the availability of advice for small businesses and access to retirement products that provide lifetime income,” Senators Ben Cardin, a Maryland Democrat, and Rob Portman, an Ohio Republican, wrote to Perez in a letter dated Dec. 4. The one-month delay would give brokers another chance to comment on the plan, and would compel Labor to study that feedback. The agency would then have to consider those comments as it crafts a final rule. If the rules haven’t been implemented by the time Obama leaves office, the next administration, particularly a Republican one that opposes the effort, could undo them before they can be enforced. –With assistance from Mike Dorning.